The past few months have been a great time for add-in graphics board manufacturers. Over the past 10 years, growth during the third quarter has averaged 14.4 percent. This year, add-in board (AIB) sales have increased by an astounding 29.1 percent according to the latest report from Jon Peddie Research. Nvidia and AMD are still the only two discrete GPU suppliers but there are now 48 AIB partners that build finished GPUs for use in OEM and custom-built systems. Cryptocurrency mining was a major factor in the second quarter of 2017 for graphics card sales but has had much less impact during the third quarter. PC gaming is credited as one of the most important factors in the strong growth. As esports continue to gain popularity, more consumers are interested in having a purpose-built PC for gaming. Both OEM and custom PCs are making use of dedicated graphics instead of relying on significantly improved integrated options. Overall GPU deliveries are up and may even surpass sales for completed systems in the coming years if current trends continue. Nvidia has continued its reign across all industries for discrete GPUs. 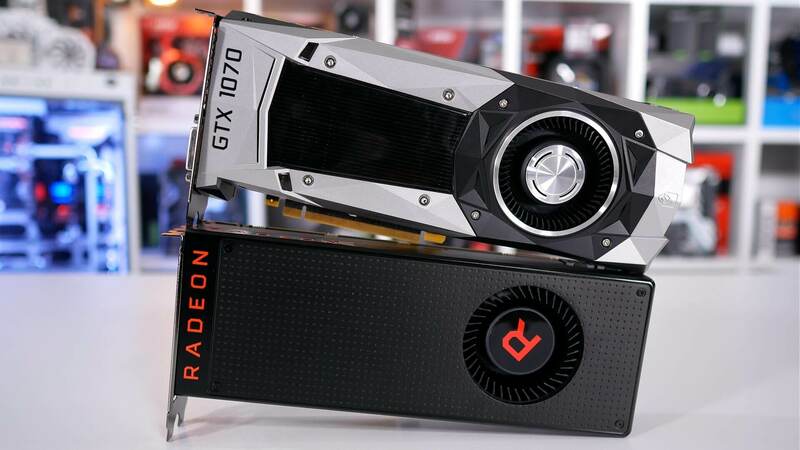 The green giant accounted for 72.8 percent of GPU sales during the third quarter, up 2.6 percent compared to the same time last year. AMD dropped from holding 30.3 percent during the second quarter down to 27.2 percent for the third quarter. Gaming will continue to help board suppliers achieve respectable sales figures. Virtual reality and augmented reality continue to push existing hardware but are not expected to greatly impact sales due to limited adoption rates. Increasing monitor resolutions and high refresh rate panels will continue to encourage gamers to opt for high-end hardware and fuel the AIB market.